Hiring Deaton Engineering is the next step toward making self-heating food products a reality for convenience-conscious consumers across the globe. 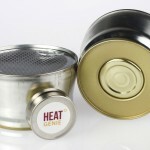 With the successful completion of bench level testing HeatGenie will rely on Deaton’s full suite of engineering and manufacturing expertise to scale its heater manufacturability to startup level over the next 6-8 months, then to industry pilot level of 100M units a year in 2012, and finally to the eventual goal of over a billion units a year. Deaton is a full-service engineering and design firm that caters to clients from a variety of industries, including food and beverage, pharmaceutical, medical device and contract manufacturing. “Deaton Engineering is excited about this opportunity to work with HeatGenie to improve the manufacturability of their design”, said Deaton Engineering’s VP of Sales and Marketing, David Knieriem. “We are looking forward to applying our extensive manufacturing experience into design and manufacturing equipment that will allow HeatGenie to meet their goals of high volume manufacturing at a competitive price”, he added. Deaton Engineering’s medical device client, DiFUSION Technologies receives 510(k) clearance of their Xiphos interbody implants for spinal fusion. DiFUSION Technologies Inc., a medical device company focused on the development and commercialization of its proprietary CleanFUZE™ antimicrobial technology for orthopedic implants, announced the 510(k) clearance of its new Xiphos™ line of posterior interbody devices indicated for intervertebral body fusion of the lumbar spine, from L2 to SI, in skeletally mature patients who have had six months of non operative treatment. David Knieriem is the President and Co-Founder of Anvil Mountain, LLC and the Vice President of Sales and Marketing at Deaton Engineering, Inc.